Just what I need to beat the heat outside! Are you frustrated with the recent hot weather like I am? 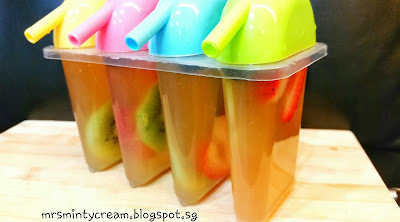 I am sure we are all craving for something cold, cooling and yummy to bring the heat down a little. Try this! This is one of my favourite popsicle flavour so far. Sweet & tangy all at the same time! My hubby loves this recipe so much that he is constantly bugging me to make more these beautiful little things. The only thing he hates about them is the waiting time. Having to wait overnight while they freeze up is such a torture. What can I say? Good things are worth waiting for, aren't they? 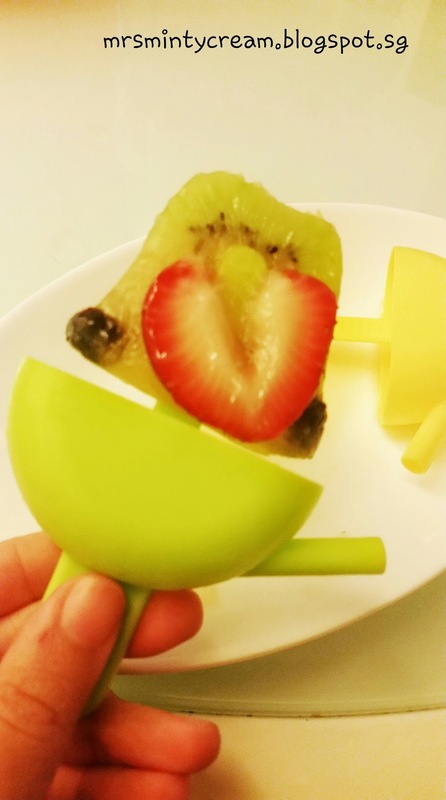 The best part of this popsicle is that you are not restricted by the choice of fruits. You do not have to use the fruits I recommended. You may replace it with other fruits that you preferred (eg. oranges, peaches, mangoes etc). It is the magical blend between the honey and the lemonade that gives you the sweet yet tangy taste that is so addictive! I am so heading into my kitchen and making another batch of this NOW! 1. 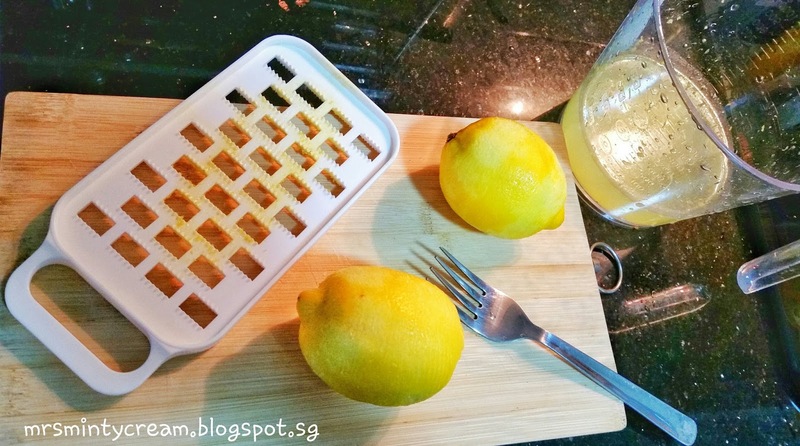 Combine water, honey, lemon juice and lemon zest in a liquid measuring cup. Stir well to ensure that the honey is fully dissolved into the lemonade. 2. 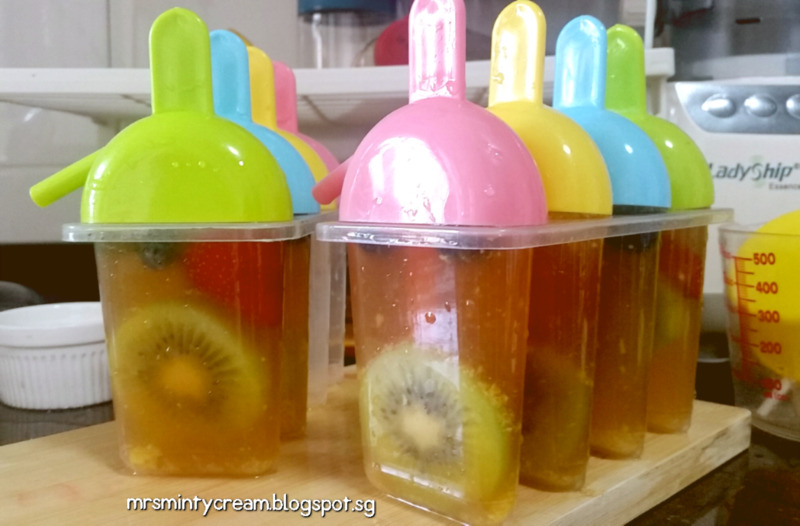 Distribute the fruits (kiwi, strawberries and blueberries) among the popsicles moulds. 3. Pour lemonade mixture into the popsicles moulds. 4. 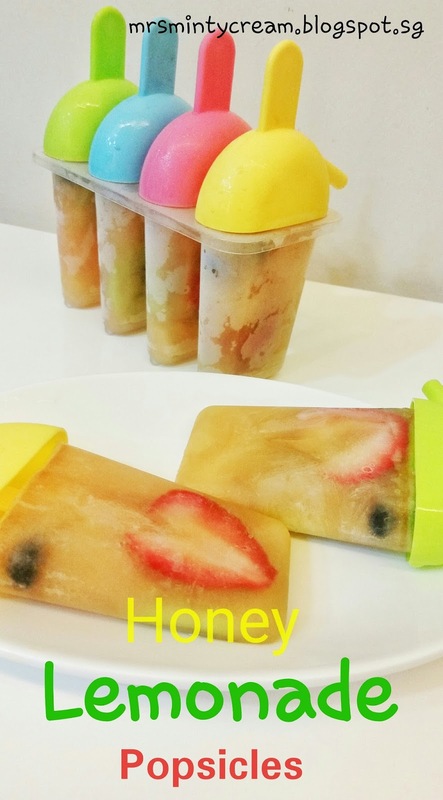 Freeze popsicles for at least 6 hours (or overnight) until the popsicles are firm. hi, may i know where did you get the popsicles mould? I love the fruit slices in these popsicles! Such fun. Do we have to say we made it for the kids? 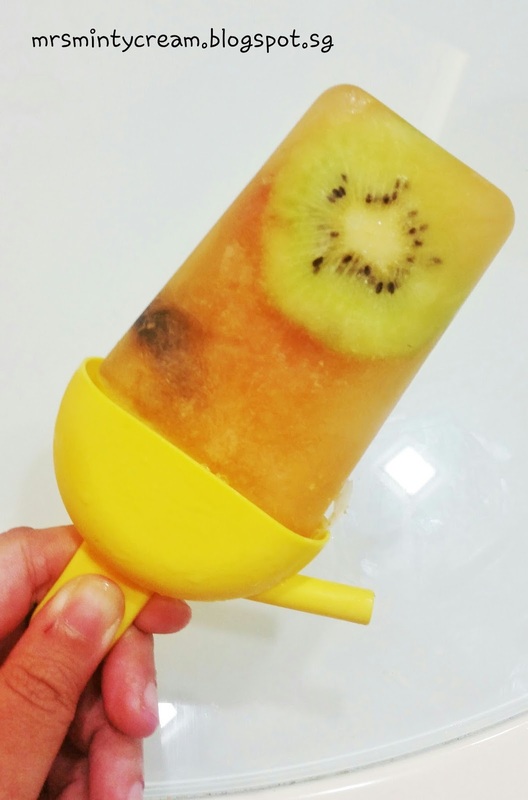 Looks like a great summer treat! It's not that hot where I live, but these look super tasty!! 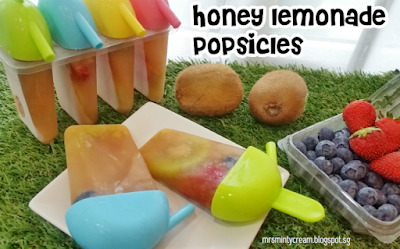 I have GOT to get one of the popsicle molds. Great recipe! I like the frozen fruits treat in the popsicles. Hope you will enjoy it too! I love the flavor of honey. I guess this would be the perfect treat for me for this summer. 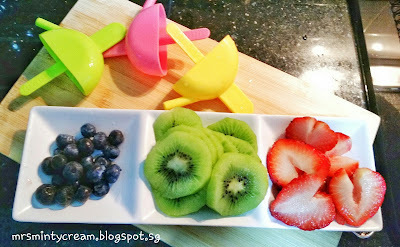 Love that you have added fresh fruits as well. The sweetness from the honey sits really well with the sourness from the lemonade. Love it!